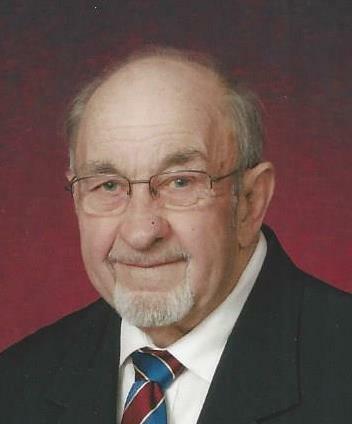 Obituary for Robert E. Boice | McDonald-Aeberli Funeral Home, Inc.
Robert E Boice, age 80, of Prospect, Pa passed away Saturday, July 14, 2018. Born in Valencia, PA on April 4, 1938, he was the son of the late David and Charlotte Platt Boice. Bob led a very busy life. He worked at Callery Chemical, Union Chillmat, and Myers Tire, was a partner in Air Turbine Propeller, and retired from Armco Steel. For 30 years he owned and operated his vehicle repair and inspection garage. He was a Sewage Enforcement Officer for 25 years. He was PER of the Butler Elks Lodge #170, a past member of the New Castle Consistory, a member of Harmony Lodge F&M #429, the Butler Council #61, PEC of Lorraine Commandry, the Syria Shrine, and the Syria Shrine Chanters. He loved singing with the Olde Time Harmony Barbershop Chorus, the Just Us Quartet and the Butler Notables. He served as a supervisor in Connoquenessing Twp. and was a current councilman in Prospect Borough. Bob attended the Mt. Nebo Presbyterian Church. Surviving are his wife Janice (Charles) Boice who he married October 3, 1959, his son Matthew (Linda) Boice of Washington, PA his daughter Wendy (Reuben III) Holt of Chicora, PA, his son Dwight (Tammy) Boice of Butler, PA, grandsons Reuben IV and Buck Holt, Chicora, PA, and granddaughters Sarah Boice, Pittsburgh, PA and Kelly (Dustin) Fuller, Lawrenceburg, KY, sister-in-law, Nancy Boice, sister-in-law, Jenny (Paul) Scioletti and brother-in-law, Murray (Sandy) Charles.and many nieces and nephews. Bob was preceded in death by parents David and Charlotte Boice, sisters and their husbands; Ruth Bergman, Dorothy Snyder, Mabel Govan, Esther Flinchbaugh, Bertha Bates, Lois Pakozdi, and brothers Albert (Emma) Boice and Kenneth Boice. A memorial service will be held on Saturday, July 28, 2018 at 11:30 am at the Valencia United Methodist Church, 66 Almira St. Valencia, PA 16059. A luncheon and time for reflection in the church social hall will follow immediately after the service. Memorials may be made to the Mt. Nebo Presbyterian Church Chair Lift Project, 405 Kennedy Rd. Prospect, PA 16052. Arrangements are under the direction of the McDonald-Aeberli Funeral Home, Inc. 238 Crowe Ave. Mars, PA and condolences are available at www.mcdonald-aeberli.com.